Instructions: A wind advisory means that sustained winds of 31 to 39 mph are expected, with gusts between 46 to 57 mph. Winds this strong are capable of downing small tree limbs and branches, possibly causing isolated power outages. Driving can also be difficult, especially for high profile vehicles. Use extra caution. * impacts...strong wind gusts will down small tree limbs and branches. A few downed trees are also possible. 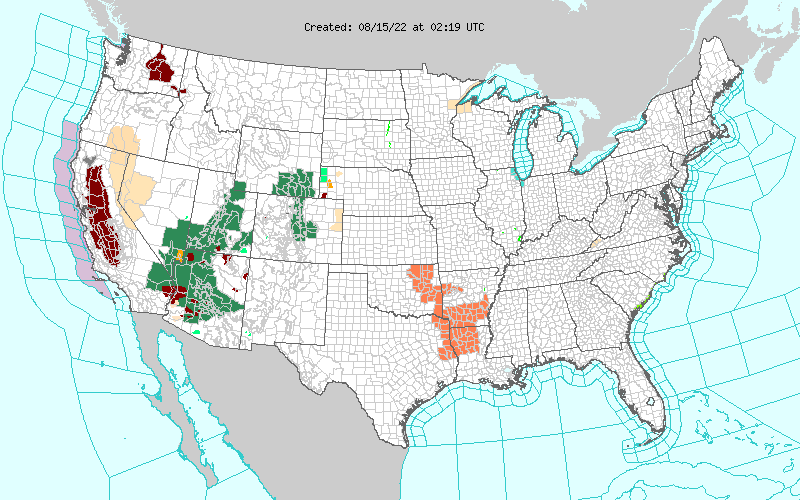 This map displays active watch, warnings, advisories and short term forecasts in the lower 48 US states.